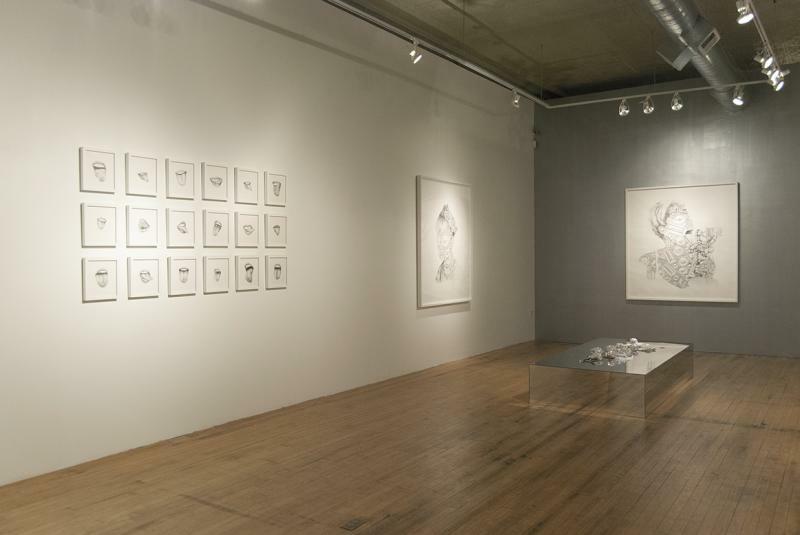 THE MISSION is pleased to present The Lineage of Stones, an exhibition of recent drawings by Argentine artist Luciana Rondolini. 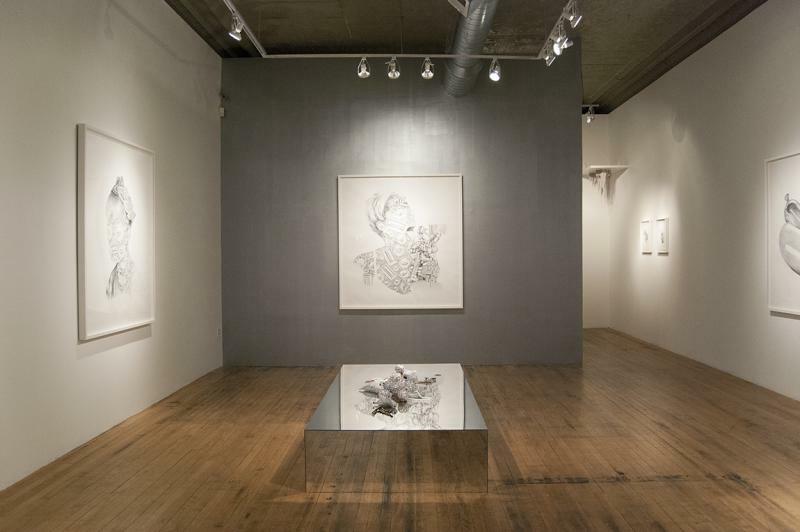 In her first solo exhibition in the United States, Rondolini presents graphite drawings of American pop icons – Miley Cyrus, Justin Bieber, and Lady Gaga – with their faces and skin covered in diamonds and jewels. 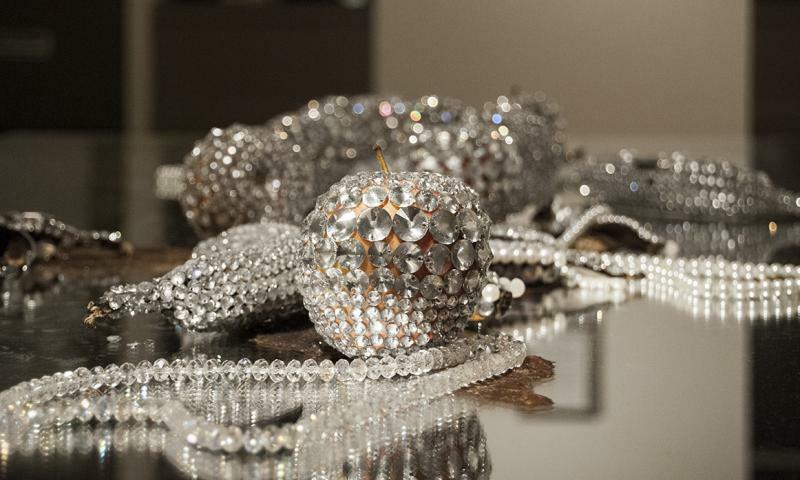 The exhibition also includes an installation entitled Tiffany, an arrangement of various fruits that the artist has adorned with a layer of gemstones and plastic beads. These ornamented citrus fruits, apples, and bananas resemble pieces of jewelry, but wither and brown as they ripen and decay. An opening reception will be held on Friday, November 7 from 6 to 8pm. 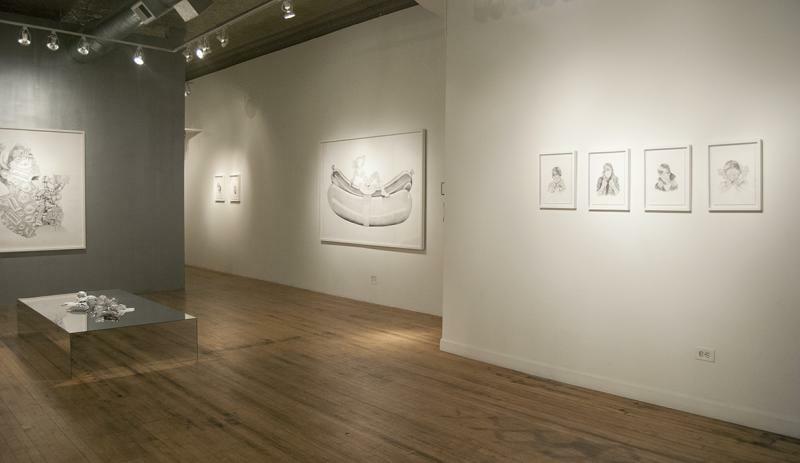 The show continues through Saturday, December 20, 2014. 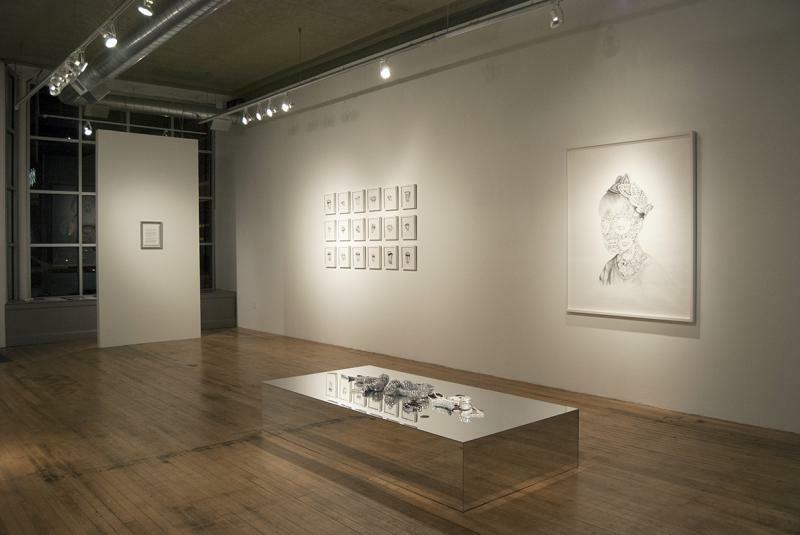 The Lineage of Stones is a continuation of Luciana Rondolini’s ongoing analysis of consumerism and materialism. The works presented in this exhibition investigate the value associated with objects and people – as well as the habits that determine their use and subsequent disposal – as evidence of the ephemeral nature of relationships in society. 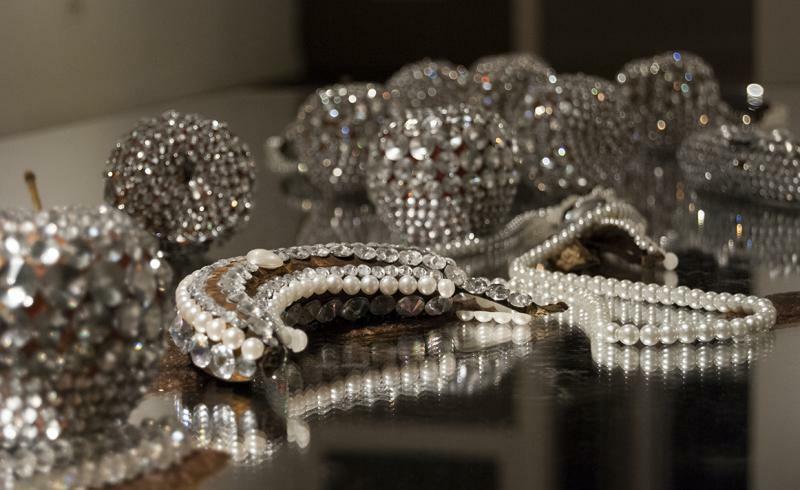 As a symbol of material wealth, jewels are associated with vanity and social status. 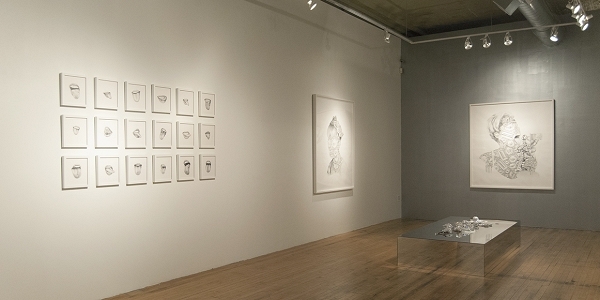 These treasures are at the center of Rondolini’s drawings and installations, and she employs them as vehicles to explore fleeting desire, the longing for the unnecessary or impossible, and the intoxicating penchant for the unattainable. ear. Instead we’re left always wanting more from objects and images specifically designed to never satisfy. An essay by Los Angeles-based art critic, culture journalist and writer Alicia Eler will accompany the exhibition. An exhibition brochure will also be available. The Lineage of Stones installed at THE MISSION. detail of Tiffany installed in THE MISSION.